The current etiology of interstitial cystitis/painful bladder syndrome (IC/PBS) is poorly understood and multifactorial. Recent studies suggest the female urinary microbiota (FUM) contribute to IC/PBS symptoms. This study was designed to determine if the FUM, analyzed using mid-stream voided urine samples, differs between IC/PBS patients and controls. 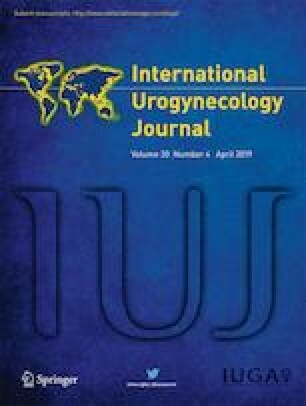 This prospective case-controlled study compared the voided FUM of women with symptoms of urinary frequency, urgency, and bladder pain for > 6 months with the voided FUM of healthy female controls without pain. Bacterial identification was performed using 16S rRNA gene sequencing and EQUC, a validated enhanced urine culture approach. Urotype was defined by a genus present at > 50% relative abundance. If no genus was present above this threshold, the urotype was classified as ‘mixed.’ Group comparisons were performed for urotype and diversity measures. A mid-stream voided specimen was collected from 21 IC/PBS patients and 20 asymptomatic controls. The two groups had similar demographics. Urotypes did not differ between cohorts as assessed by either EQUC or 16S rRNA gene sequencing. We detected no significant differences between cohorts by alpha diversity. Cohorts also were not distinct using principle component analysis or hierarchical clustering. Detection by EQUC of bacterial species considered uropathogenic was high in both cohorts, but detection of these uropathogenic species did not differ between groups (p = 0.10). Enhanced culture and DNA sequencing methods provide evidence that IC/PBS symptoms may not be related to differences in the FUM, at least not its bacterial components. Future larger studies are needed to confirm this preliminary finding. The online version of this article ( https://doi.org/10.1007/s00192-019-03942-9) contains supplementary material, which is available to authorized users. We thank Mary Tulke, RN, for overseeing patient recruitment and collection of demographic and clinical data. R01: NIH grant from NIDDK awarded to Alan J. Wolfe (R01DK104718). Grant from ICA (Interstitial Cystitis Association) awarded to Colleen Fitzgerald, Alan Wolfe and Larissa Bresler (PI).